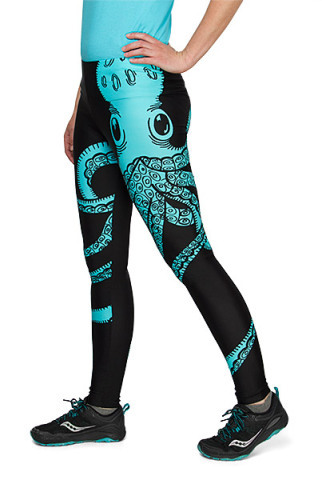 itself as a pair of fashionable Octopus Leggings. 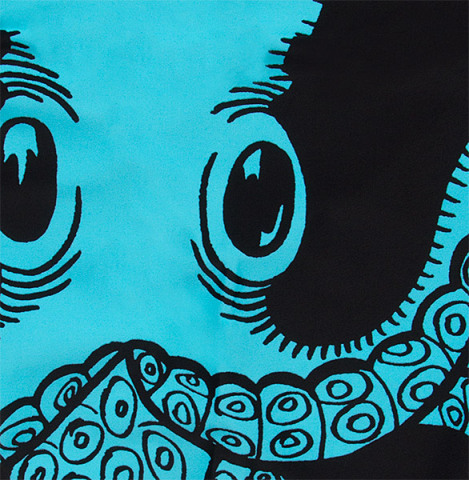 This octopus is in blue on black leggings. No one has yet reported it as appearing white and gold, so you can rest assured that they really are blue and black. The print starts on your right and the tentacle crawl to the left. It is just stylish enough, and creepy enough, to really get you noticed. The leggings are made of nylon and Spandex to ensure an excellent fit and are available in small, large, and extra large. The medium size is currently out of stock, but should be back in stock in a few weeks. 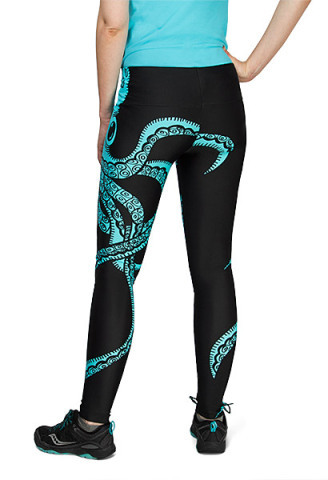 To order a pair of Octopus Leggings for yourself, click here.